I waited until after all the other gifts were opened so they wouldn’t get lost in the mix.. 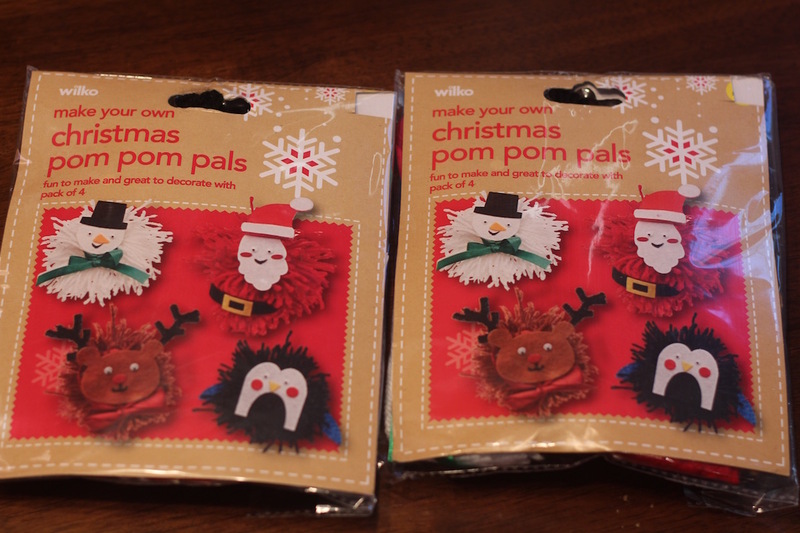 They each got these really cute Christmas art projects. I know Millie will have a good time putting them together perfect, I’m looking forward to the hilarious mess that Quinn’s will become, teehee! And they also got these very sweet handmade crayon rolls! They were very excited about these, and I love them because it is such an easy way to take arts and crafts on the road (and to restaurants!) They thank you very much Natalie! 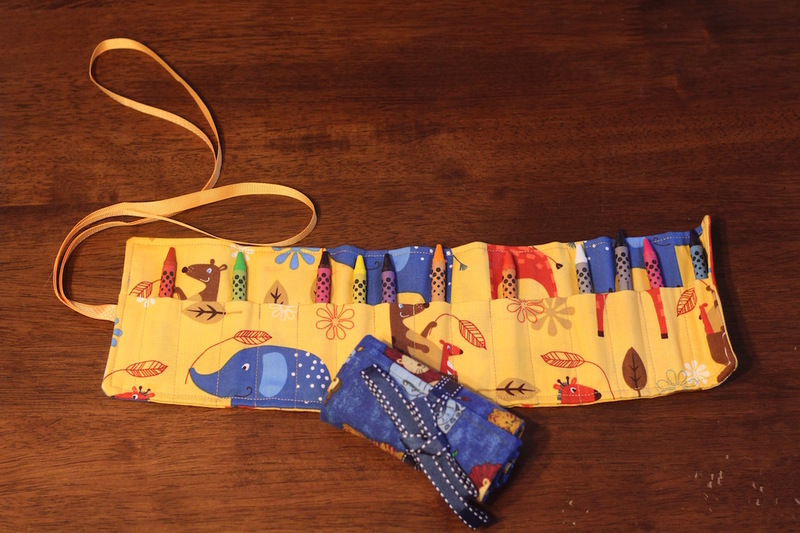 There were three one yard cuts of fabric, all of which I think are awesome. 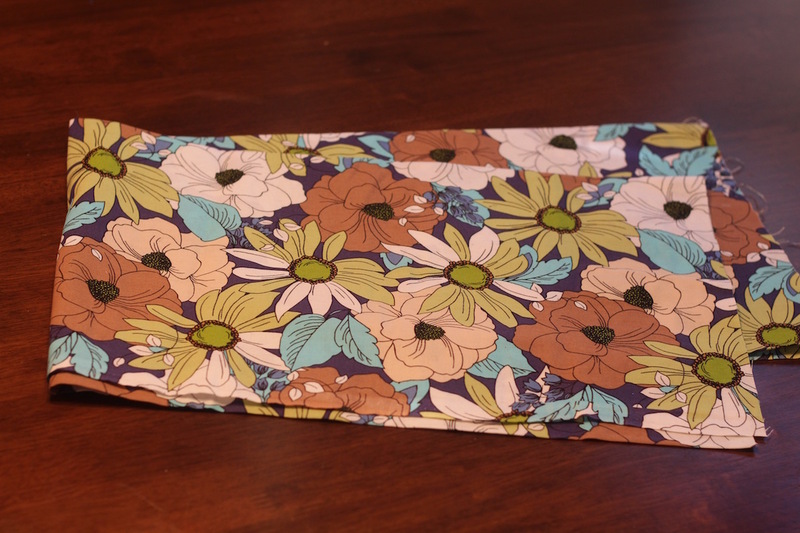 This pretty floral here could be some cute shorts or something for one of the kiddos! 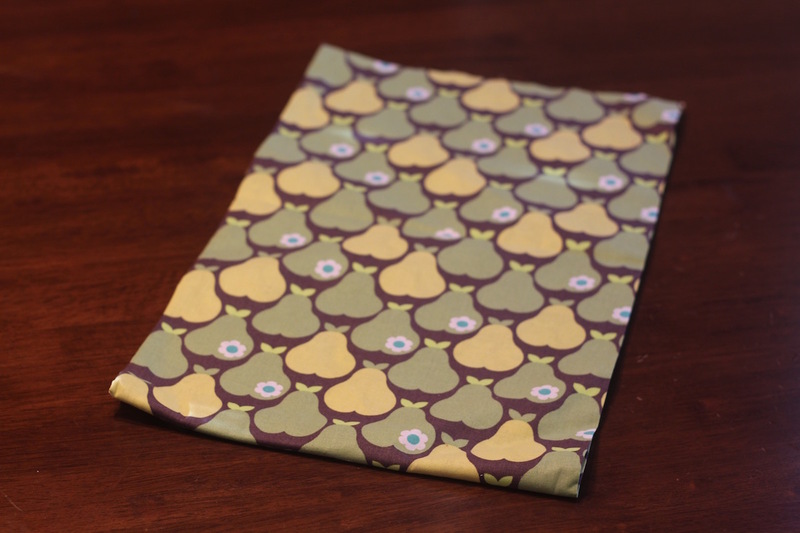 For some reason, this pear print is my favorite of the bunch, it seems so fun and retro! Not sure what exactly I’m going to make with it, but it totally belongs in the kitchen! 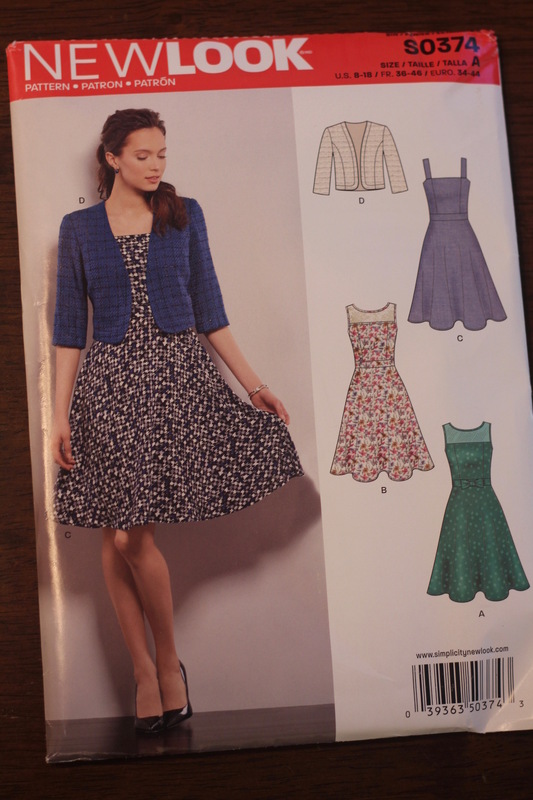 She included this awesome dress pattern that is TOTALLY MY STYLE and can’t wait to sew it… When I’m no longer pregnant!! I’m excited to make a million dresses in version C, I had actually been looking for something like this! 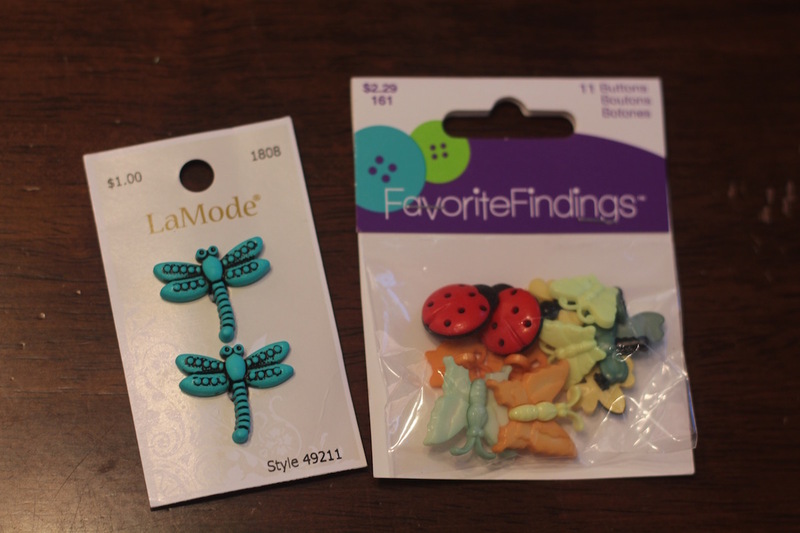 There were these 2 cute packs of bug buttons, Millie has already claimed them and is most excited about the ladybugs! There were these 4 nice handmade coasters with a couple bags of tea and a message to relax.. How did she know that is exactly what I need? MESSAGE RECEIVED! 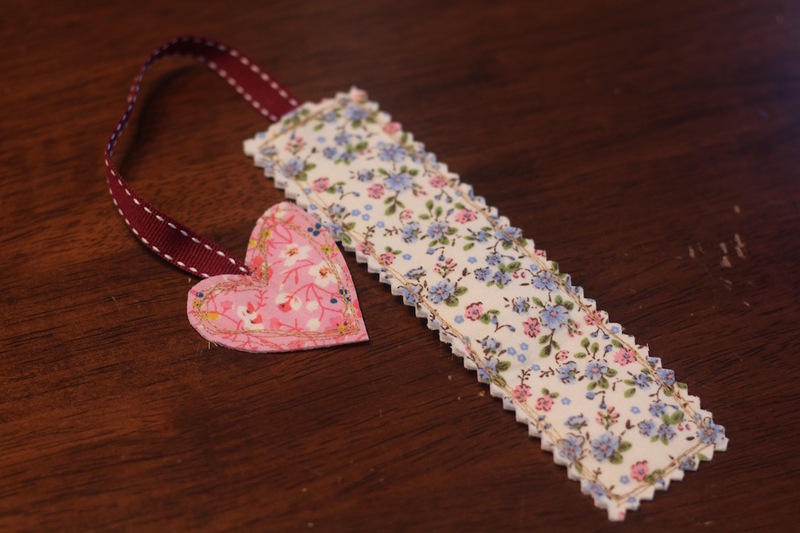 I love this little bookmark she made, I think I’ll have to put away the kindle and open a real book just so I have the opportunity to use it! 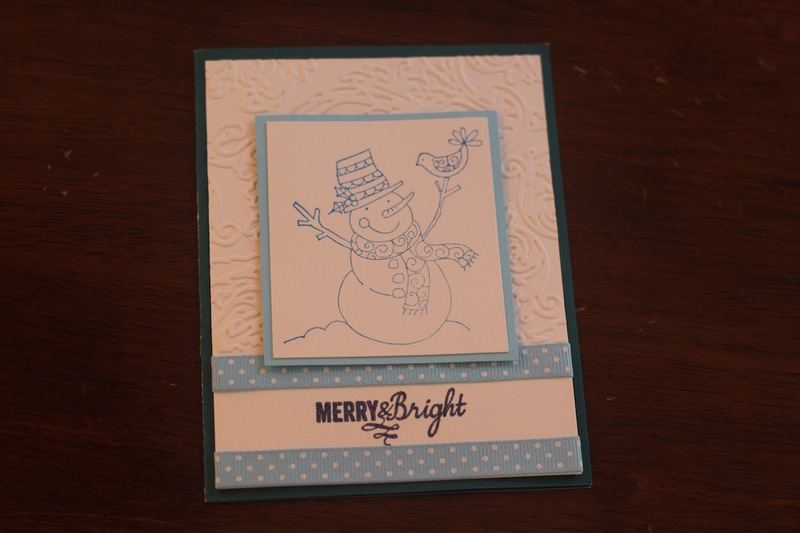 And last but not least, it seems like she MADE this special little card for me! 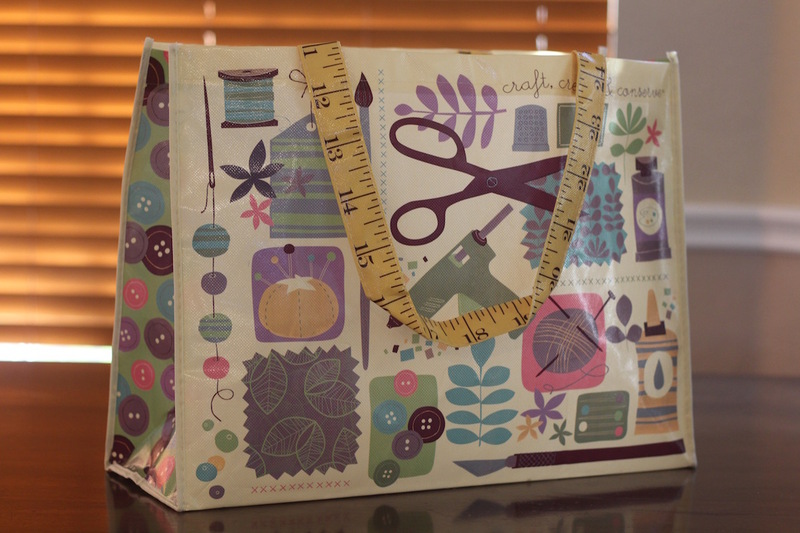 SO thank you SOO MUCH Natalie from Threads and Bobbins and thank you Sheila from Sewchet for hosting! It was such a fun and awesome thing to participate in!! ← A Fresh Lady Skater and a BIG SURPRISE ANNOUNCEMENT! A lovely review of all your fabulous gifts – thanks so much for taking part. I am finally getting notification of your blog posts again (I don’t know what went wrong) but have some catching up to do – CONGRATULATIONS on baby number three!!! Thank you for hosting!! It is such a fun idea!! And about the blog, I had switched from wordpress.com to .org a while back and somehow lost most of my followers :( I have no idea how to get them back, but I’m glad you found me again!! And thank you for the congratulations! Everything is so crazy and exciting! Awesome! I was the kid who peeked at Christmas presents so after your previous post about Stitching Santa I went to see what she had put in your gift. Too cute! Her mix of things handmade, ready made, to-be made, and for the kids was perfect! I’m definitely signing up for next year and am already thinking about what I will send to my match. 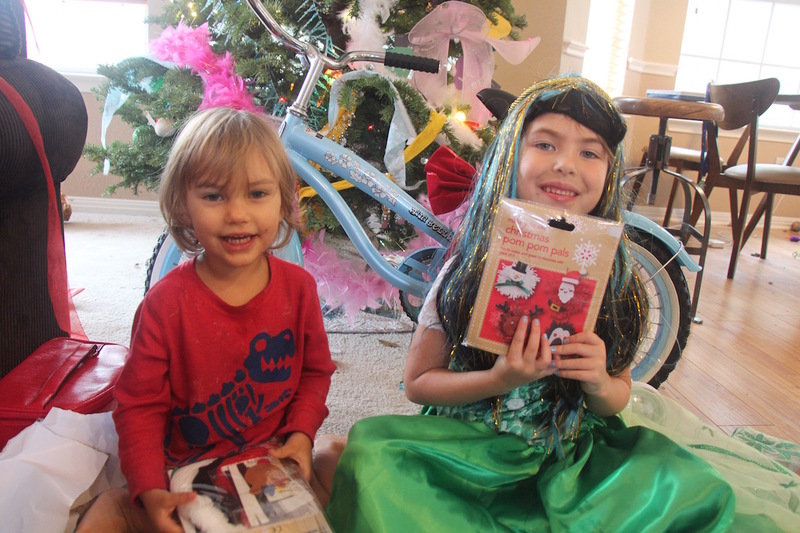 Congrats on your very cool gifts! HA! That is hilarious!! I’m the weirdo who likes surprises :) You should TOTALLY do it next year! It was super fun!! Hi Michelle, Thank you so much for being the best Secret Santa! 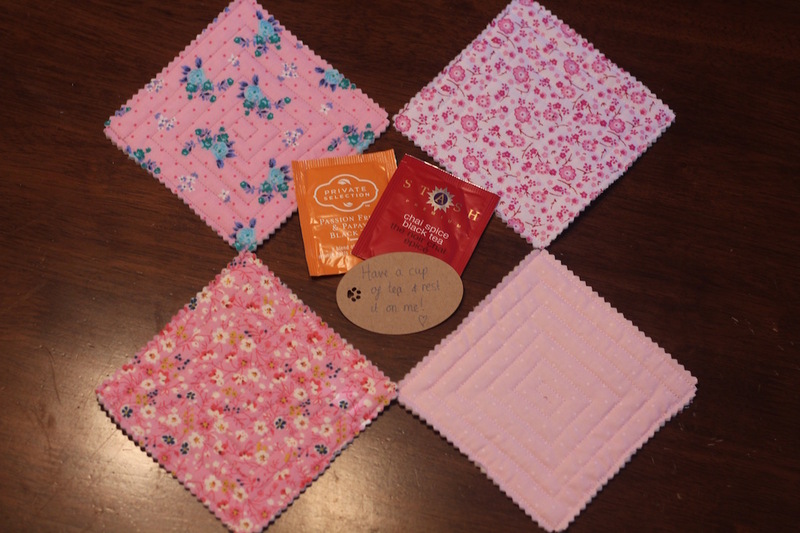 Everything you sent was absolutely delightful (and well, you know all the potholder situation haha)! I’m getting ready as we speak (type) to start a blouse with the Simplicity pattern you included, and hoping to use the beautiful voile. Thank you again, and sending great big wishes for the Best New Year ever! Aww I’m so happy you like everything!! I can’t wait to see you in that shirt! 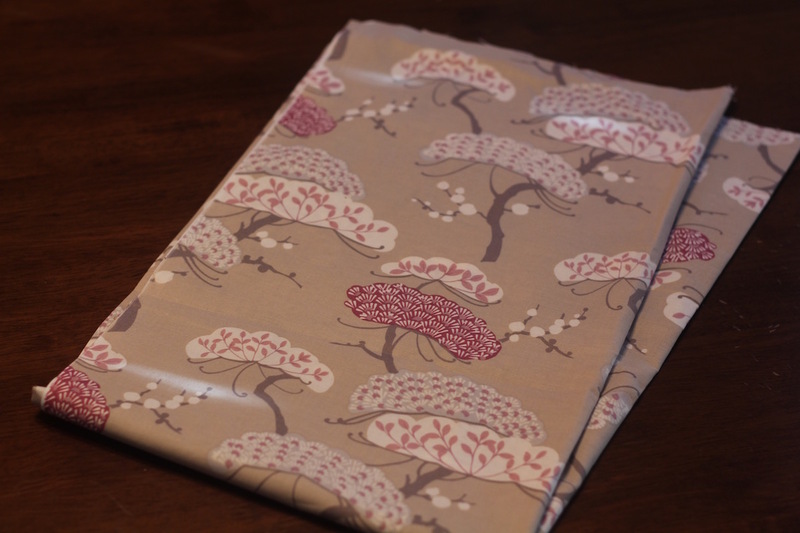 It is one of my favorite fabrics! Happy new year to you too!